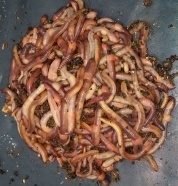 We breed worms on our worm farm in Worcestershire. 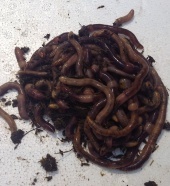 Years of worm farming have shown us that wormeries work best with a mix of species of UK worms, including Dendrobaena and Eisenia fetida. 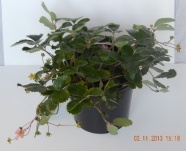 We hand harvest them on the day of dispatch and add them to bedding from our breeding beds, this provides an environment they are happy to live in so they arrive to you in tip top condition. The bedding often contains some cocoons which will hatch and produce baby worms. This is a simple, easy to use wormery. The second photo shows the components; 4 x 10 litre tubs and a lid. The base tub is for collecting the worm tea, it has some stones in the bottom to keep a gap between the tubs. The other 3 tubs are for worm composting, the bottom composter tub with drainage holes and a mesh in the bottom, 2 additional composting tubs with holes in the bottom. The kit also includes a bag of 300g of composting worms in bedding, a tub of lime mix, a tub of worm grub and full instructions. The instructions are comprehensive and contain hints and tips for managing your wormery. 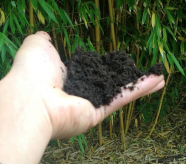 This wormery is very basic and you could make it yourself. 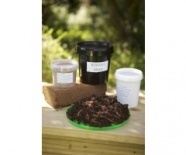 If you want to make your own you can order our wormery starter pack and we will send you instructions on how to make the cheap and cheerful wormery.